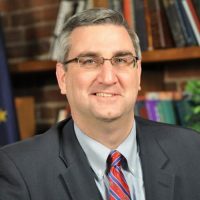 Governor Eric J. Holcomb announced that Indiana has maintained its AAA credit ratings from all three credit agencies: Standard and Poor’s, Moody’s and Fitch Ratings. The credit agencies cited Indiana’s “active budget management, with practices that have been consistently applied to maintain sound reserve levels, including the administration’s willingness to use its power to align appropriations with conservative revenue estimates and implement a lower cost structure,” (S&P) and the state’s strong fiscal governance that “affords the state significant flexibility to be able to successfully weather future economic downturns,” (Moody’s) as reasons for affirming their AAA credit ratings. Credit ratings reflect how responsibly the state manages debt and are a factor in determining the state’s interest rates. Since 2010, Indiana has held AAA ratings from all three agencies, the highest rating assigned by the independent agencies. Only 12 states hold a AAA rating from all three agencies.